The month of May is Mental Health Awareness Month! If you have not had your mental health check- up, now is the time to do so! Just like we treat the common cold, we need to be just as adamant about treating our mental health. 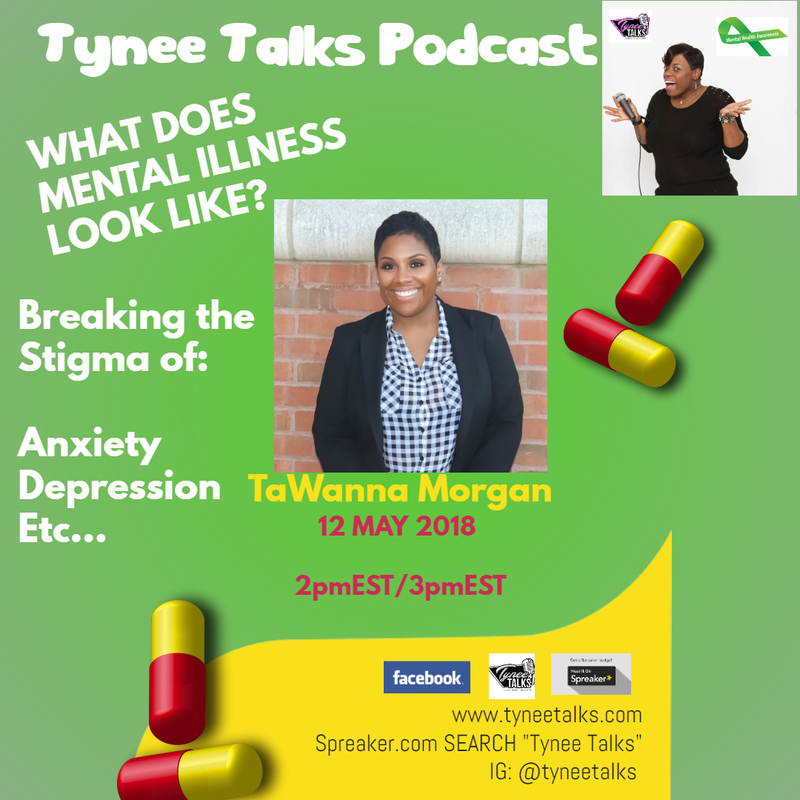 Check out my talk with TaWanna Morgan, a woman diagnosed with General Anxiety Disorder (GAD) at the age of 34, and listen to how she copes on a daily basis. I also go into great depth about my mother's battle with Schizophrenia, Bi-Polar Disorder, and Depression, and growing up with a parent with mental illness. You don't want to miss out on this great talk!